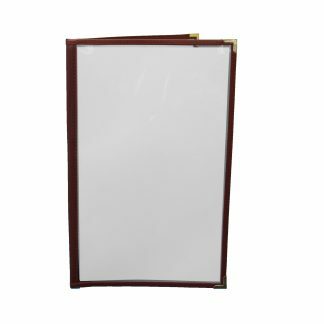 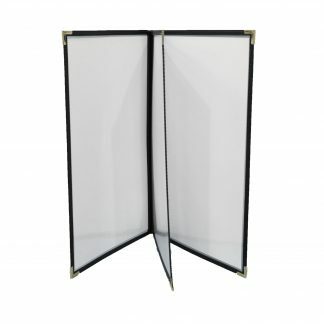 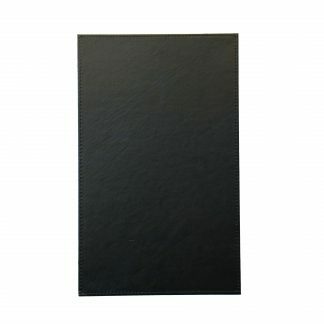 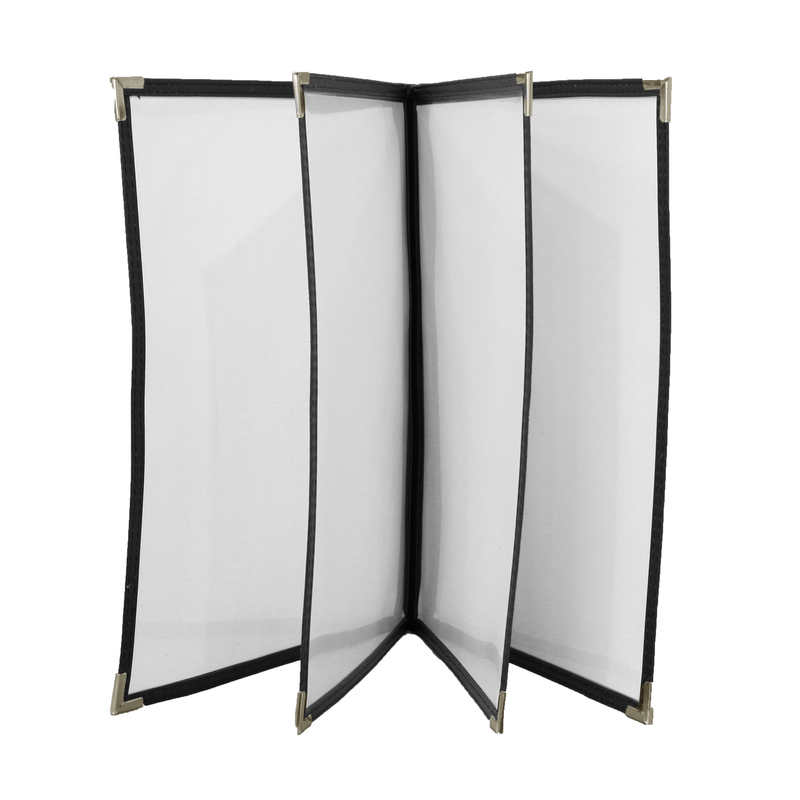 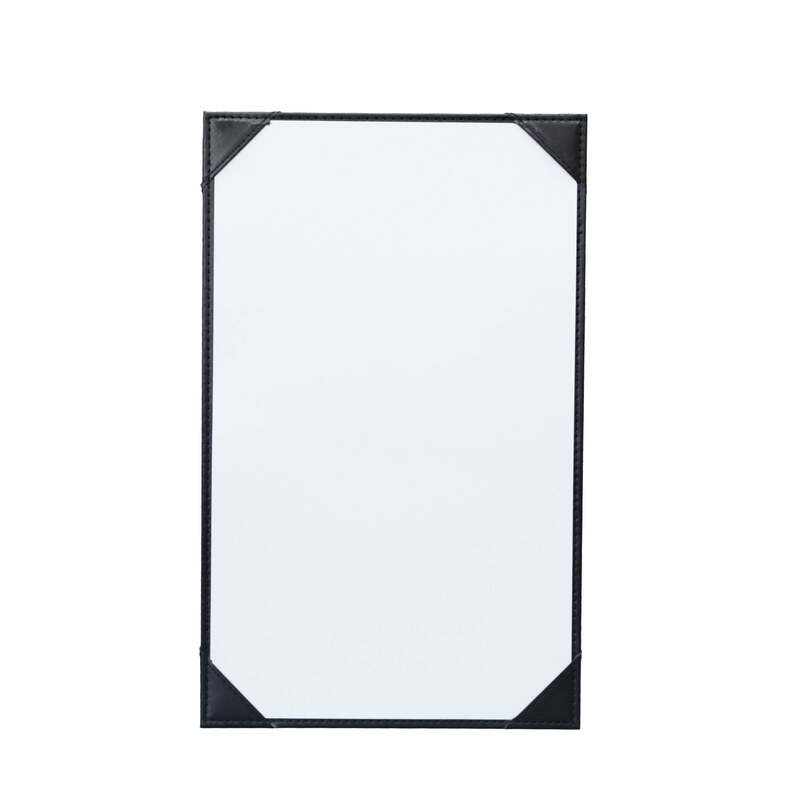 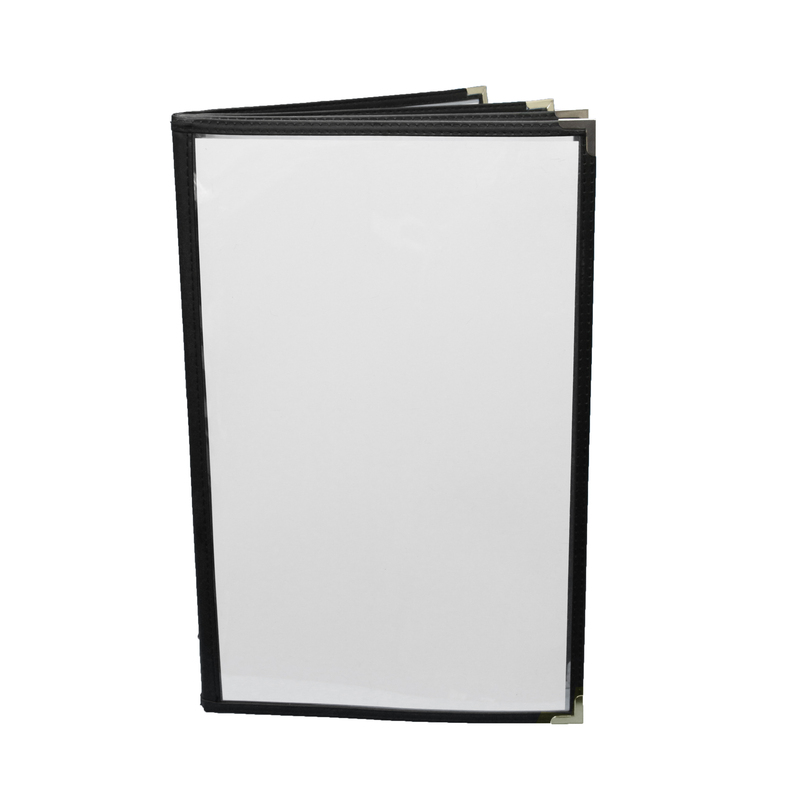 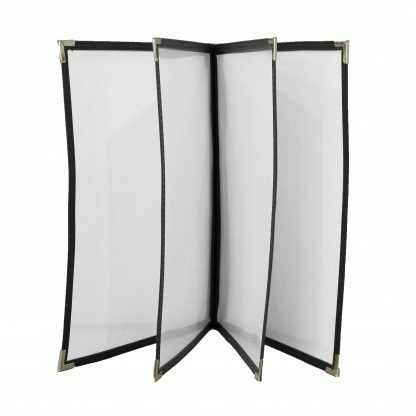 These finely crafted menu covers are made of rigid clear plastic, with a stitched vinyl edge around the outside and down the edge of the pocket. 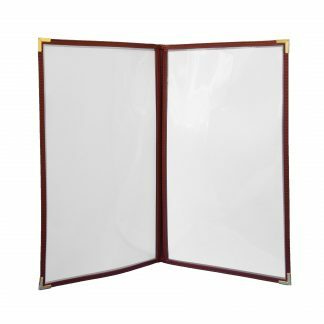 Our menus are double turned and stitched to provide unmatched strength and durability. 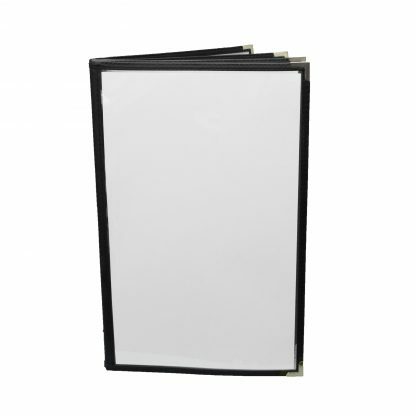 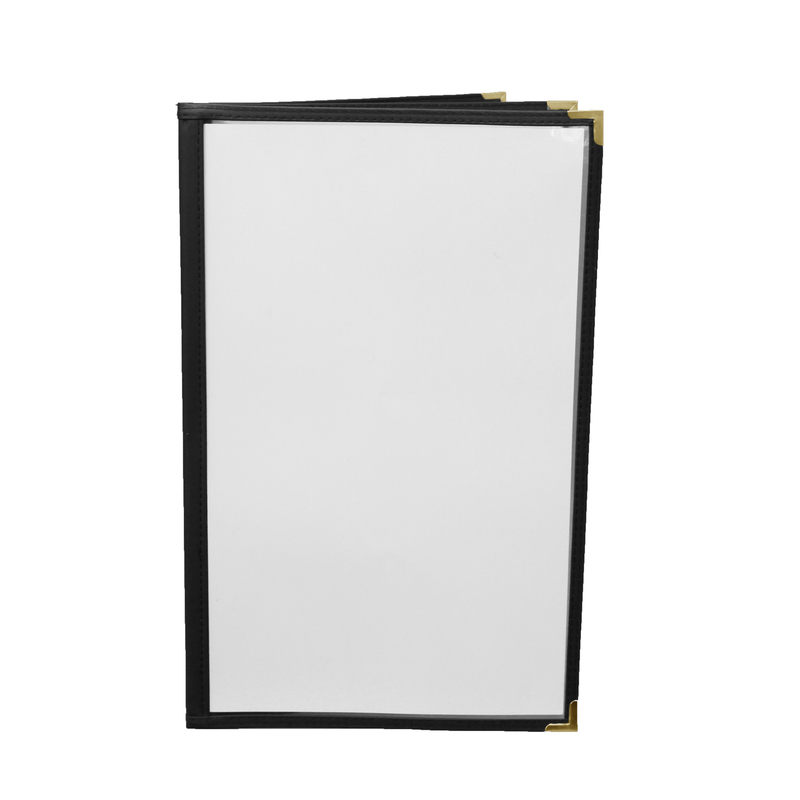 This menu features 4 Pages (6 views), 14″ x 8.5″ sheet size, Black trim and Silver corners.